The world of K-Beauty has recently fallen in love with Blithe Inbetween Instant Glowing Cream. Endorsed by make-up artists and celebrities alike, this an innovative primer is the lates K-Craze and is said to work to nourish, hydrate and perfectly prep skin for foundation application in a perfect way to deliver a luminous, plump complexion with a dewy glow. Rumors have it can also be used as a night-time moisturizer to brighten and repair skin whilst you sleep. But is it all true? Why is Blithe Inbetween Instant Glowing Cream so special? We decided to dissect and investigate. Blithe originates from South Korea. Its skincare line gathers a set of products conceived to protect your skin against daily damage from stress, fine dust and heavy metals. Blithe is best knows for creating the anti-polluaging protective creams and essences to serving the needs of the urban dweller by delivering protection against aging and pollution, in turns. A limited and scarce resource, time is another demand for those living the fast paced rhythm of the city. That’s why Blithe introduced an all-new range of liquid taps masks to deliver portability, efficiency and in an all-new beauty line . Your skin is always under stress and in demand of a solid dose of protection. Blithe Inbetween Instant Glowing Cream is an innovative primer that works to nourish, hydrate and perfectly prep skin for foundation application and basically creates a smooth, flawless makeup base. 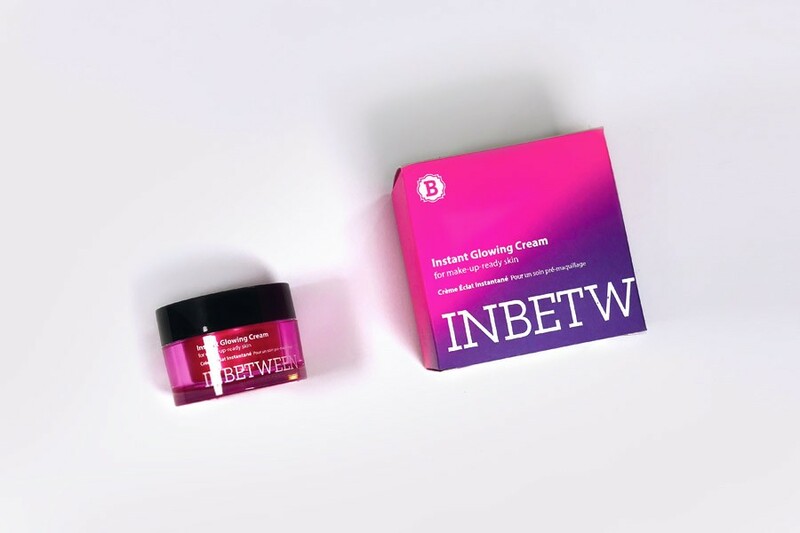 Blithe Inbetween Instant Glowing Cream comes in a yummy and colored 30ml packaging, that is just the right size to bring to follow you on the road. Light and floral. Not invasive at all. Rich yet quick absorbing. The result is a light layer that allow an unprecedented makeup application. 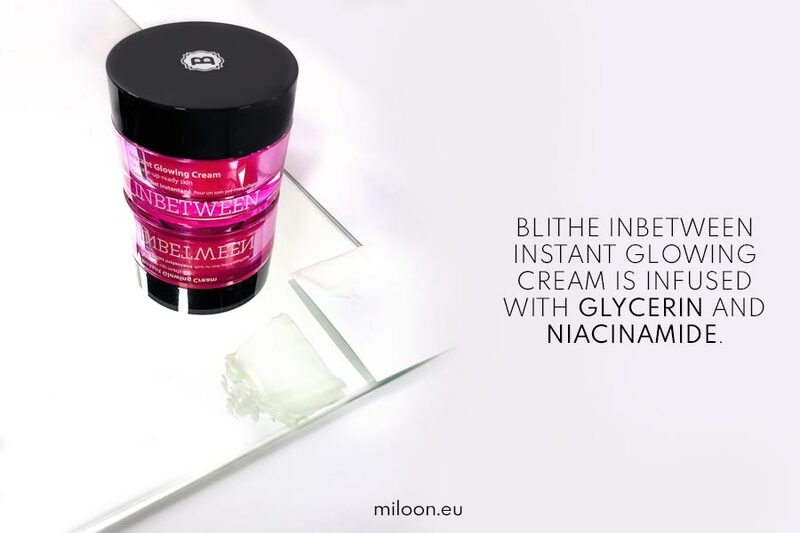 Blithe Inbetween Instant Glowing Cream is infused with Glycerin and Niacinamide. The satin-textured moisturizer delivers long-lasting moisture, whilst enhancing natural radiance and delivering a photo-ready, soft-focus finish to extend makeup wear. Ingredients make it suitable for all skin types. Niacinamide delivers a luminous, plump complexion with a dewy glow, as it works as a night-time moisturizer to brighten and repair skin whilst you sleep. Moisture-locking glycerin, strengthening niacinamide, and plumping squalane are blended with antioxidant-rich tomato leaf extract to hydrate, nourish, and fortify skin’s natural moisture barrier and protects from environmental pollutants. Moreover this Blithe In-between Instant Glowing Cream is free of Parabens, Synthetic Dyes & Fragrances, Mineral Oils, making it suitable for every skin type. Following is the full ingredients list. – Can be used as a primer under foundation for a dewy skin look. 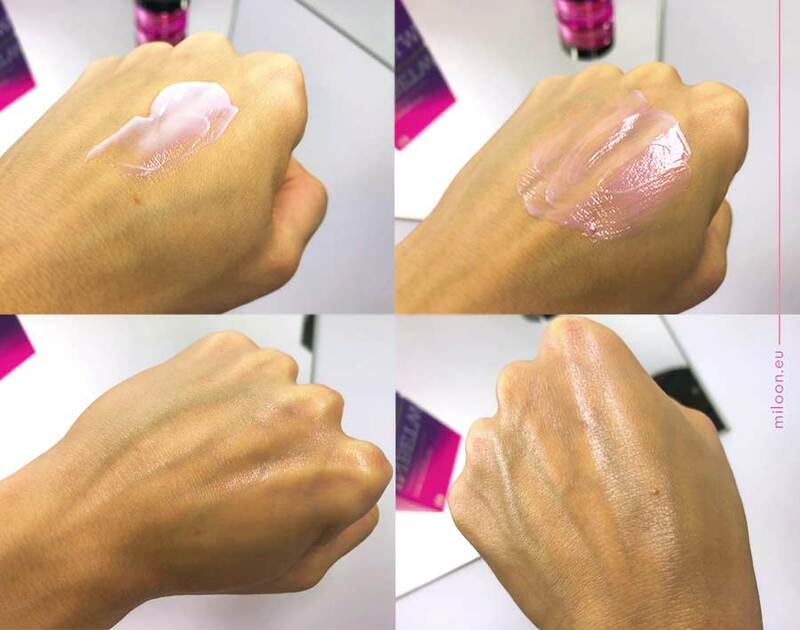 – Its subtle iridescent tint makes skin look and feel really healthy. 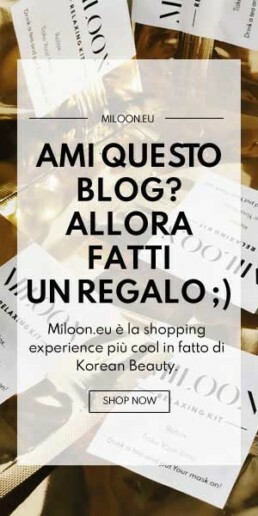 – Make the makeup application smooth. – Suitable for all skin types, Inbetween Instant Glowing Cream locks in moisture and smoothen the skin as it prepares it for makeup. – Its lightweight and non-greasy hydrating formula delivers a radiant, lit-from-within glow. – It’s a little expensive to use as an every day primer but it’s SO worth the investment. That’s perfect for best occasion where you need to get a killer look. Rumors were true. 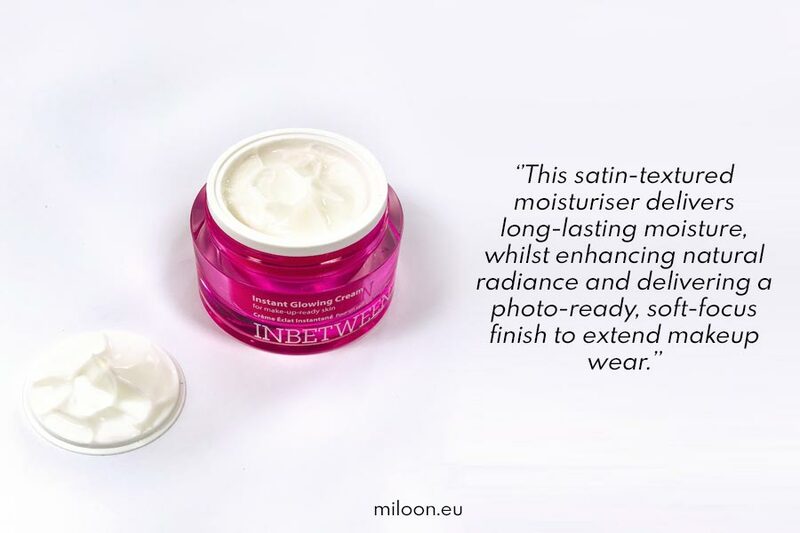 Blithe Inbetween Instant Glowing Cream is as good as it gets when it comes to give you that glow you need. Prepping skin for foundation application has never been easier and result are just amazing. Employing a combination of moisture-locking glycerin, strengthening niacinamide, and plumping squalane this cream delivers a luminous, plump complexion since the first use. The fact it can be used as a night-time moisturizer to brighten and repair skin whilst during sleep justify the slightly higher than your average product cost, making the perfect choice for these everything-depends-on-my-skin’s-look days.